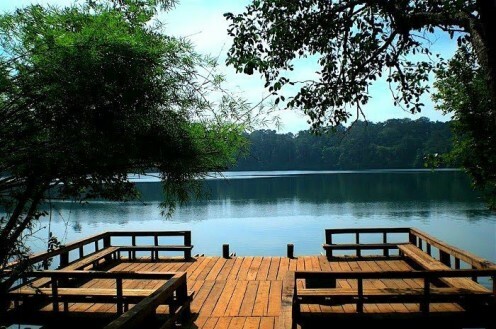 Yeak Laom Lake is situated 5 km. south - east of Banlung. The Yeak Laom lake (volcanic crater) is the most beautiful lake of Ratanakiri formed by a volcanic eruption almost 4,000 years ago with 50 m. deep, 800 m. diameter and a walking path around the lake of 2,500 m. Two hundred meters of the track is a quaint wooden building housing tribal handicraft, the Crafts Museum.